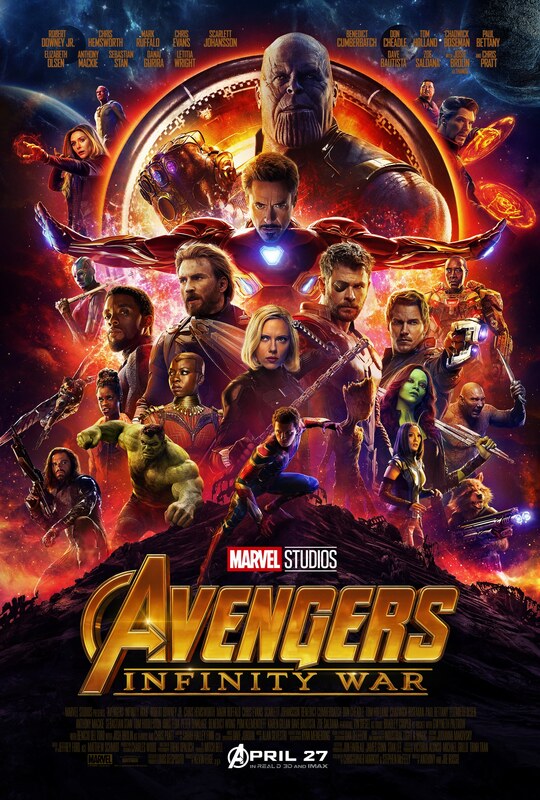 A great spoiler-free Avengers Infinity War review and list of Marvel movies in order along with which ones you must see before you wagtch Infinity War opening weekend! And an exclusive CafePress coupon code to buy all of the Avengers Infinity War shirts and gear you want for opening weekend and beyond! This post has been sponsored by CafePress and includes affiliate links. All opinions are 100% honest and my own! 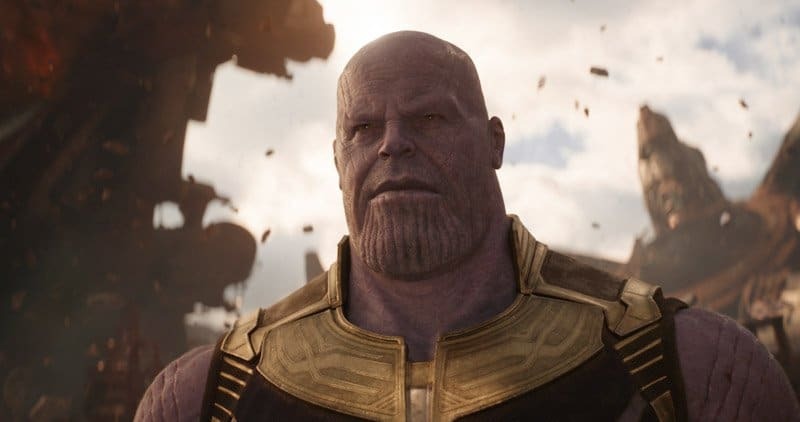 I had the chance to see the brand new Avengers: Infinity War during a press screening yesterday and let me first say, this post will have no spoilers. Not only has Marvel asked us not to reveal spoilers, I personally hate spoilers – so no spoilers here! Feel free to keep reading! In addition to my review, I’ve put together a list of Marvel movies you have to watch, possibly even rewatch, before you watch Infinity War this weekend. This list is based on having seen the movie, so I know what I’m talking about not just guessing! And I say this weekend because I recommend everyone see it opening weekend so you don’t have any part ruined by spoilers. They weren’t kidding when they released the #ThanosDemandsYourSilence marketing promos. 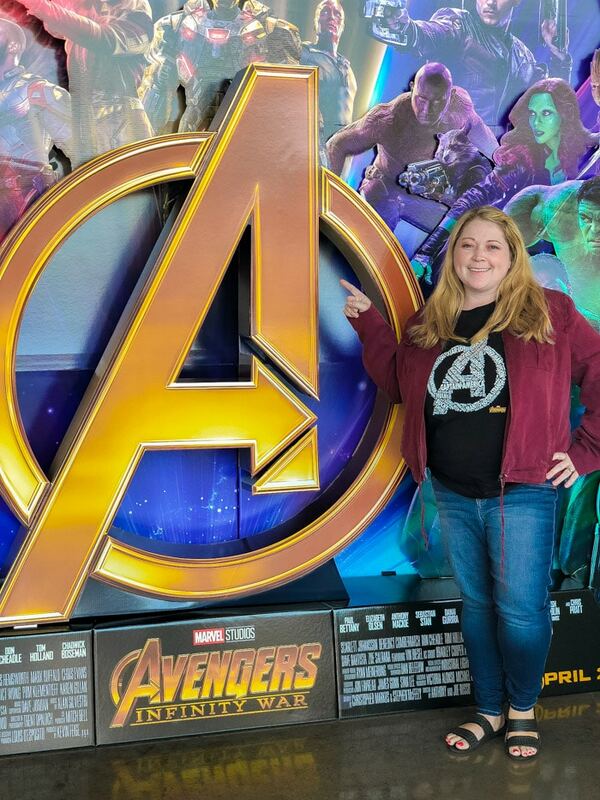 Okay, first off – before we get to my review of the movie, let’s talk movie night essentials – shirts to wear to the premiere, bags, and other stuff that’ll show that you’re a true fan! One of my favorite places to get custom and unique licensed shirts and other gear is CafePress. And they have an awesome Infinity War Collection including the shirt I wore to the screening and the shirt I’m going to wear the second time I see it with my family this weekend! 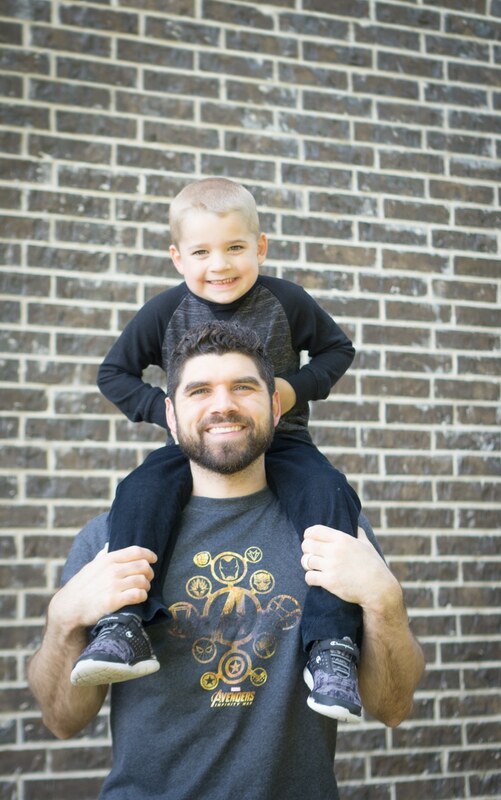 CafePress has awesome options for men, women, and kids when it comes to shirts but also pretty much any other gear you could think of – pajamas, tote bags, water bottles, even pillows! It’s kind of like a “you find the design that you love and decide which product and which color you want” style shopping. Wish other stores were like that! I can’t tell you how many times I’ve found a shirt design I love but it’s on an ugly color shirt or one that I know will never fit me! 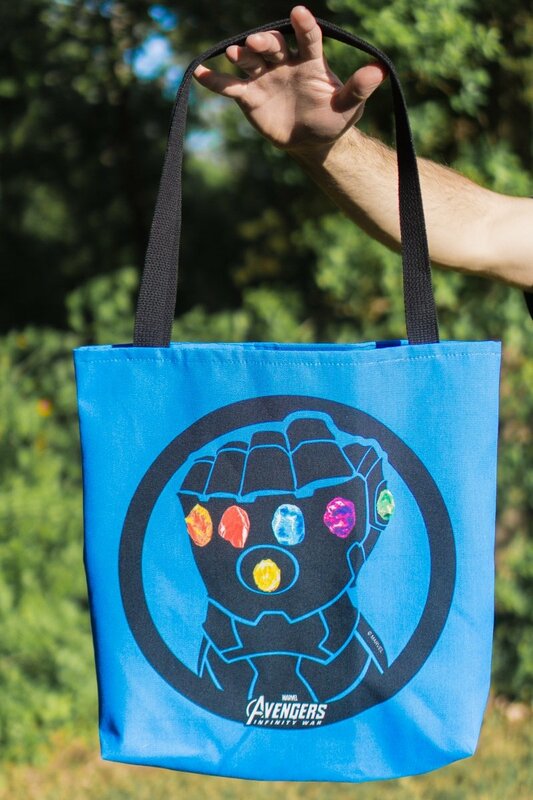 I was so excited to see this Infinity Gauntlet tote bag in blue – love how it pops against the black! Click on the images below if you want to see those designs in the store. 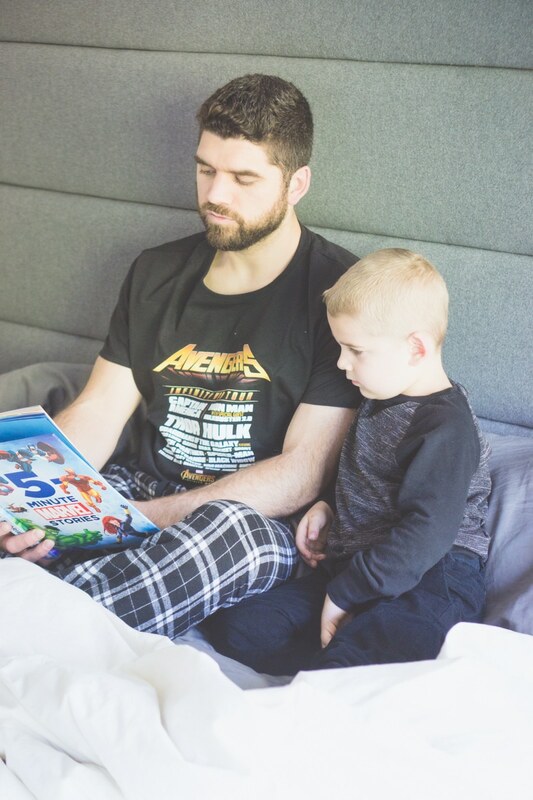 My husband is wearing this Infinity War Icons t-shirt, (and these Infinity War pajamas) I’m wearing this Avengers A Shirt (in the picture above), and the tote bag is this Infinity Gauntlet bag! And there so many designs that I love, I’m sure I’m not the only one. One of my absolute favorite designs is this unique one that is exclusive to CafePress – a band tour style t-shirt that comes in a regular shirt and in a pajamas collection! And my favorite shirt? This Avengers A shirt with all of their names! Might be my favorite Infinity War shirt ever! Keep reading for an exclusive CafePress coupon code just for Play Party Plan readers! 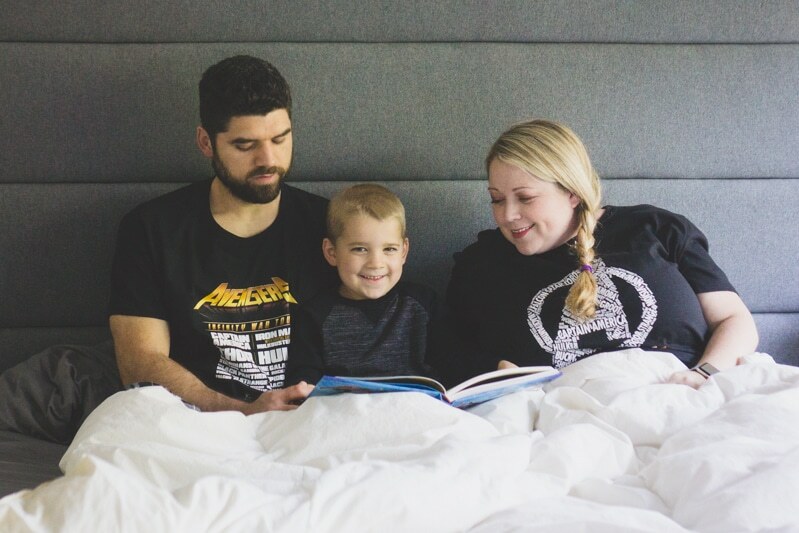 While you may not be able to get any of these in time to see it the first time this weekend (make these DIY Avengers shirts instead), you could easily order any of the items from CafePress’ Avengers: Infinity War collection and have them for the next time to see the movie in theaters. I can almost guarantee there will be a next time! And hey, buy stuff now and you could save big with the exclusive CafePress coupon code below! CafePress has generously offered to give any of my readers at 20% discount on all purchases from CafePress between now and 11:59 (PST) on May 31st when you enter coupon code PLAYPARTY20 at checkout. 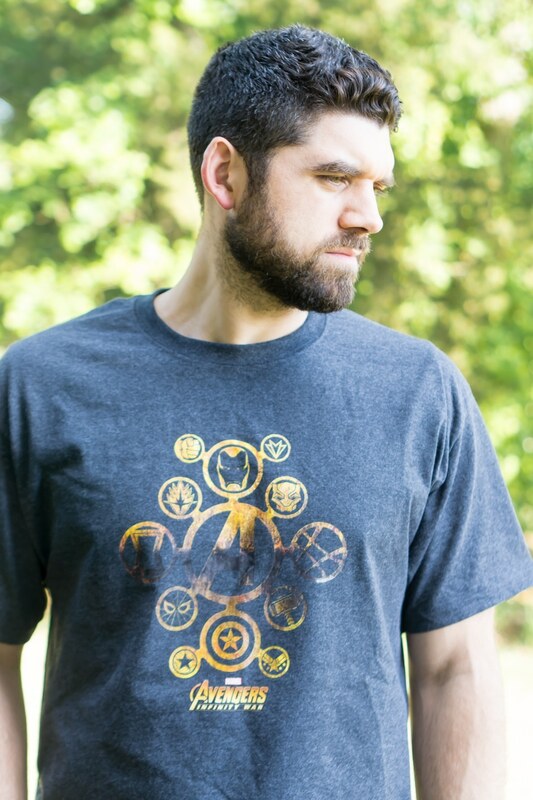 Shop the entire CafePress Infinity War collection here. *Offer applies only to orders from the CafePress Marketplace. Discount does not apply to mousepads, flat cards, invitations, specially-priced CafePress products, fulfillment products, bulk orders and any product numbers starting in 030. Offer valid online at CafePress.com only, cannot be combined with any other coupons or promotions, and may change, be modified or cancelled at any time without notice. This promotion cannot be applied to past orders. Where do I even start trying to tell you my thoughts on Infinity War? I promised a no-spoiler Infinity War Review which honestly makes writing a review at all tough. But here goes. I loved it but not in the same way that I loved Thor: Ragnarok. I loved it because I was on the edge of my seat from the very first scene to the post-credit scene. Okay, maybe I sat back and relaxed during the like 10 minutes of credits but other than that, I was just sitting in anticipation to see what happened next. I loved seeing all of my superheroes come together and seeing them interact for the first time. Some of the best one-liners in the movie have already been spoiled by the Infinity War Trailers but there are so many more that weren’t. I laughed way more than I thought I would, especially considering Thanos’ plan is to destroy one half of the universe’s population with a snap of his fingers. The movie has humor. It has heart. And it has a heck of a lot of superheroes all sharing one screen. I laughed and I clapped my heart out when a certain superhero got to Wakanda. And 24 hours later and I’m still talking to my friends about what we just saw. So go see the movie. Go see it either opening night or at least opening weekend and get off social media until then. This is a movie you want to experience – not one that you want to hear about from friends and then go see. 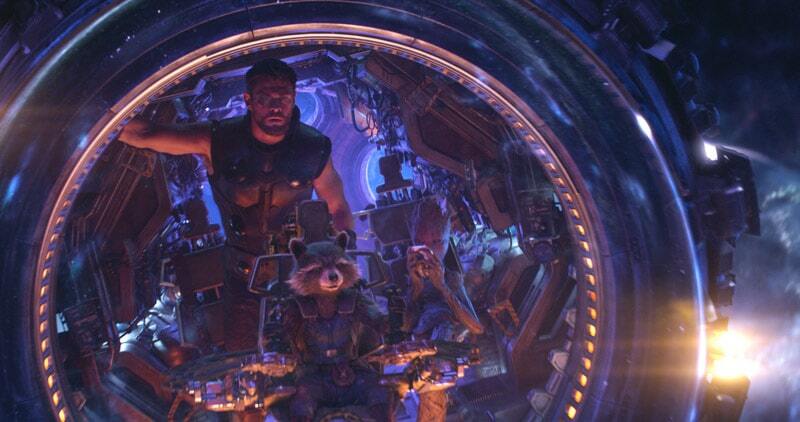 Marvel has done it again with Avengers: Infinity War and it’s a movie you need to experience firsthand in theater. 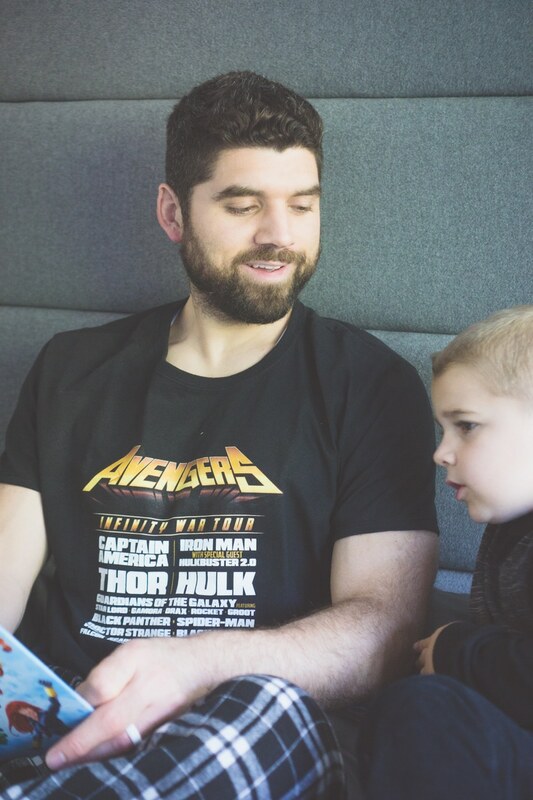 If you’re a mom wanting to take your kids to Infinity War – check out this is Infinity War kid-friendly post first. So I’ve read a bunch of posts about all the Marvel movies out there and which ones you supposedly needed to watch before Infinity War. But now that I’ve seen the movie, I can tell you from my opinion which Marvel movies you must watch, or rewatch, before Infinity War comes out. And a couple of movies you can totally skip. And movies that would be helpful for some more back story but not essential to the Avengers: Infinity War Thanos plot line. If you really want to know which movies to watch, the real answer is all of them except Incredible Hulk because well just skip it. Since you have very little time left and I’m guessing a Marvel 2-day movie marathon is not in order for anyone… I’ve broken it down into must watch, provides back story, and skip. And let me throw out my caveat – this is totally my opinion, and I’m sure others will disagree with me! I’ve put these Marvel movies in order of release date with my notes on which ones you need to watch, etc. Hope this is helpful! And just to recap, these are my five movies you must watch before Avengers: Infinity War. This is assuming you are familiar with who the characters in the movie are. If you’re familiar with the characters, then I can’t help you with only two days to go. I’ve put these movies in order of importance – start with #1 and get through as many as you can! 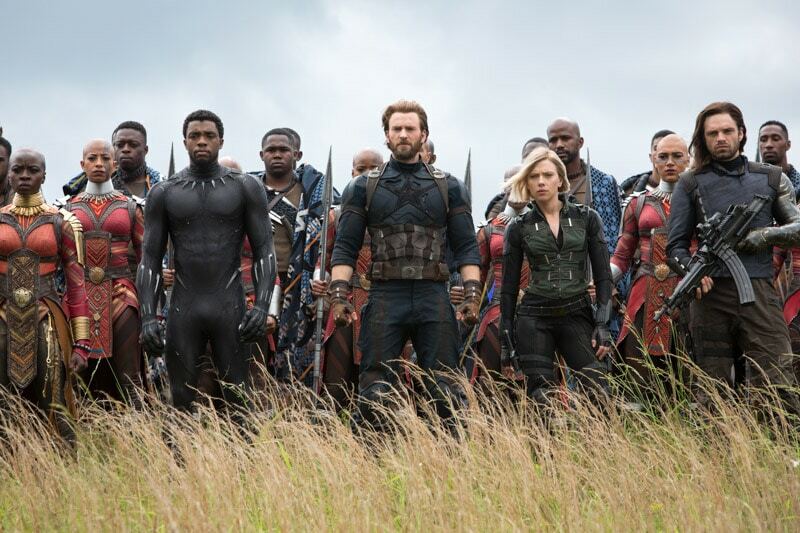 Last but not least, know that Avengers: Infinity War is definitely not the end of the line for Marvel. They already have a full line-up of movies scheduled to be released in the next year including the Avengers: Untitled Movie that we currently know nothing about. Here are the confirmed upcoming movies for Marvel! 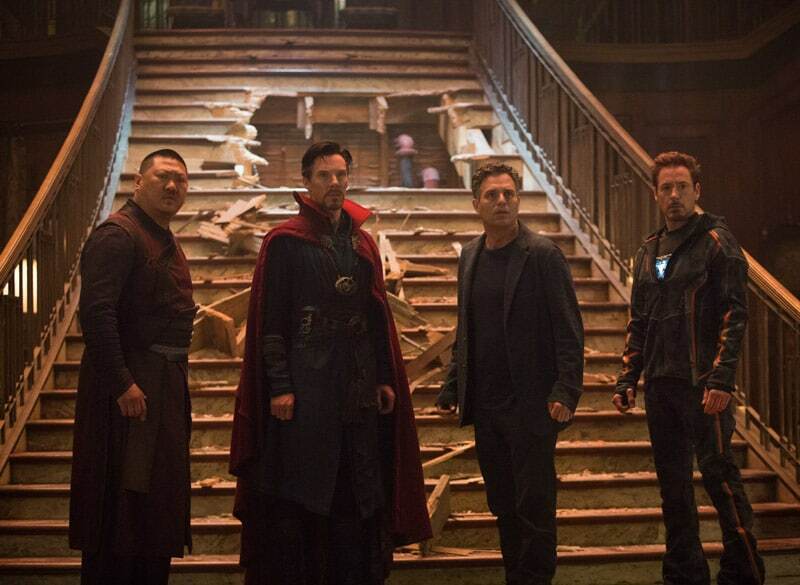 Avengers: Infinity War officially hits theaters April 27, 2018!